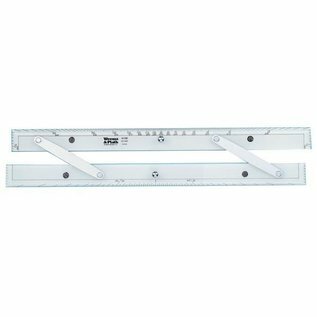 An essential item in any proper navigation kit, the aluminum parallel ruler is used to plot direction on your nautical chart. The aluminum parallel ruler is, essentially, comprised of two straight-edges hinged so that they maintain the same angle. 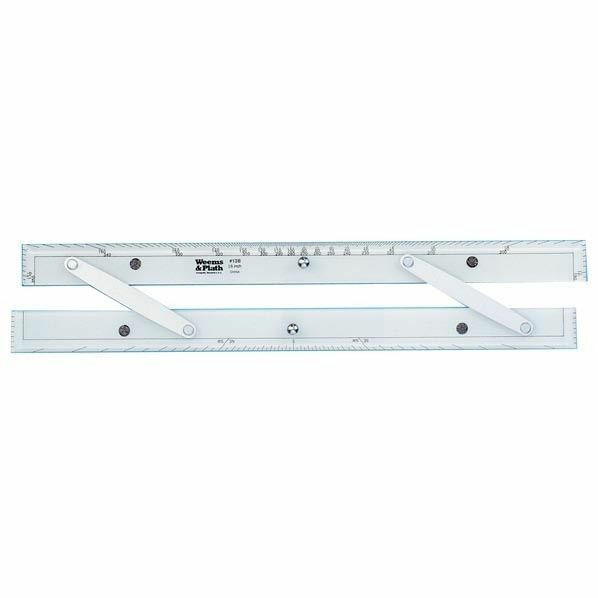 By alternating the moving edge, and securely holding down the non-moving edge, you can move the aluminum parallel ruler about the chart while still maintaining the same angle.